Finding ways to make learning fun is always a key for a good teacher. 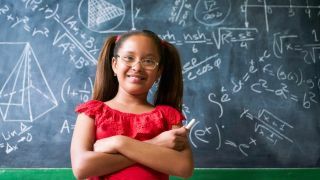 Learning and practicing basic arithmetic operations are keys to success for a math student. On this site students practice those facts by playing a fun game. Students can choose from seven different levels of play. The lowest level focuses simply on subtracting single digit numbers. As the levels progress students can try multi-digit numbers, and subtraction that includes regrouping. For each level students decide if they want the fruit to move slow or fast. After that, splat away!